If you want to get out of the house and do something fun this weekend, you do have some interesting options. 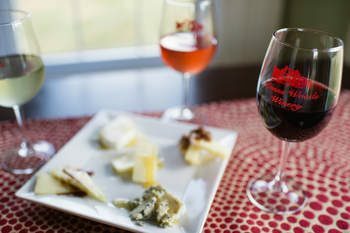 The first Friday of the month is a good time to spend an evening in Kennett Square or Lancaster – a time to enjoy special First Friday activities. Kennett Square will celebrate First Friday with its Art Stroll (downtown Kennett Square, http://historickennettsquare.com) from 6-9 p.m. on January 5. 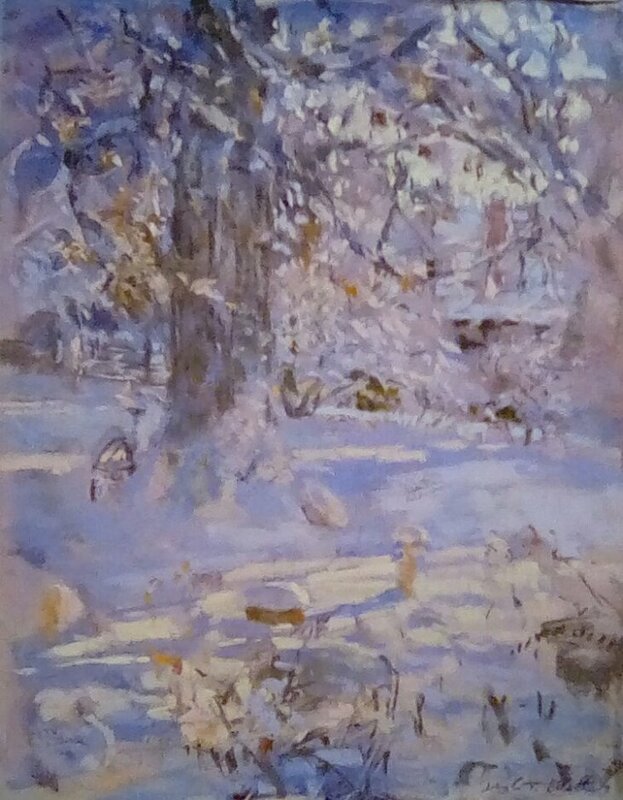 Square Pear (200 East State Street, Kennett Square) will host an opening reception for its new show “Snowy Days” featuring the artwork of Mary A. Gordon, Portia Mortensen, Douglas Elliott, David Eldreth, Rachel Altschuler, Lidia Kohutiak, Madeleine Kelly, Barbara Grant, Kathryn E. Noska and Jack Hanson. 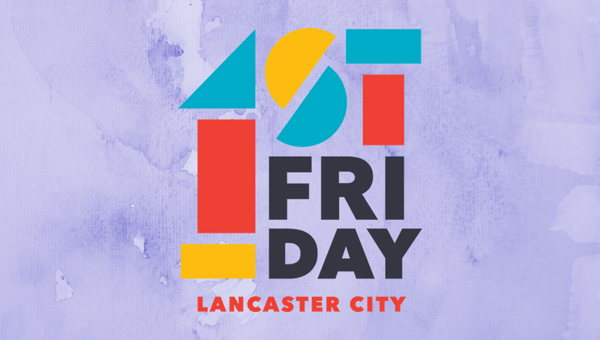 Lancaster also has a lively First Friday celebration every month. This month’s edition of First Friday Lancaster (https://visitlancastercity.com/first-friday) will run from 5-9 p.m. on January 4 in downtown Lancaster. The mouth-watering tastings will be held every weekend in January from 11 a.m.-6 p.m. on Saturdays and 11 a.m.-5 p.m. on Sundays. As an added attraction, live music will be featured on January 5, 6, 12, 13, 19, 20, 26 and 27 from 2-5 p.m. each day. This weekend, it’s time for the Greek Food Festival at Artisan Exchange Indoor Market (208 Carter Drive, West Chester, www.artisanexchange.net). Phyllodelphia Greek & Mediterranean is teaming up with Kastania Olive Oil to provide a Greek Lunch at the Artisan Exchange Market. The free event will be held January 5 from 10 a.m.-2 p.m. 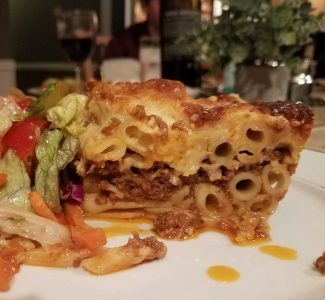 Some of the menu highlights are hummus, tzatziki, pastitsio, moussaka, baklava, and filled phyllo triangles — Spanakopita (Spinach and Feta Cheese), Sausage and Cheese, and Buffalo Chicken. The roster of other artisans who will be bet up at the market this weekend includes Anastasia Patricia’s Hand Crafted Cheesecakes, BrendAmore, Buenos Aires Empanada Bar, Cheryl’s Southern Style LLC- Manufacturer/ Catering, Cook Awesome Food, Flavors of Jalisco Catering, Golden Valley Farms Coffee Roasters, Heart of the Kitchen, Heavenly Sweet Chocolates, Honey & Rose Bakery, iSwich Gourmet, MacDougall’s Irish Victory Cakes, Mediterra, MoJo’s Pop Co., Peachala’s , Pure Scents Soy Candle Company, Sallamin Foods International, Sunsobo, Sweet Lana’s Vegan Express, Superfoods, Strattons Wynnorr Farm, and Taika. If you’re a handyman and are interested in repairing, refurbishing or upgrading your home, then plan a visit to the Greater Philadelphia Spring Home Show this weekend at the Valley Forge Casino Resort (1160 First Avenue, King of Prussia, 888-433-3976, www.acshomeshow.com). The annual show, which is produced by American Consumer Shows, will open on January 4 and continue through January 6. Hours are from 11 a.m.-8 p.m. on Friday, 10 a.m.-8 p.m. on Saturday and 10 a.m.-6p.m. on Sunday. The event features free admission and parking. Visitors to this free event will be able to enjoy an evening of activities, piñatas and a piece of traditional “Rosca de Reyes” bread, which will be the largest one ever made in Philadelphia. The tradition of placing a figurine of the Christ child in the cake goes back centuries. The baby Jesus hidden in the bread represents the flight of the Holy Family, fleeing from King Herod’sMassacre of the Innocents. 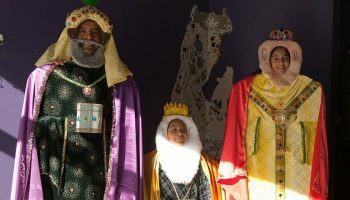 On January 4 from 3-5 p.m., there will also be a free “Three Kings Day Celebration” at Taller Puertorriqueño (2557 North Fifth Street, Philadelphia, 215-423-6320, tallerpr.org). January 6 is a special day in the Latin world – not just Mexico. It is the height of Christmas season when the three Magi — Gaspar, Melchior, and Balthasar — parade into town bearing gifts for the children. 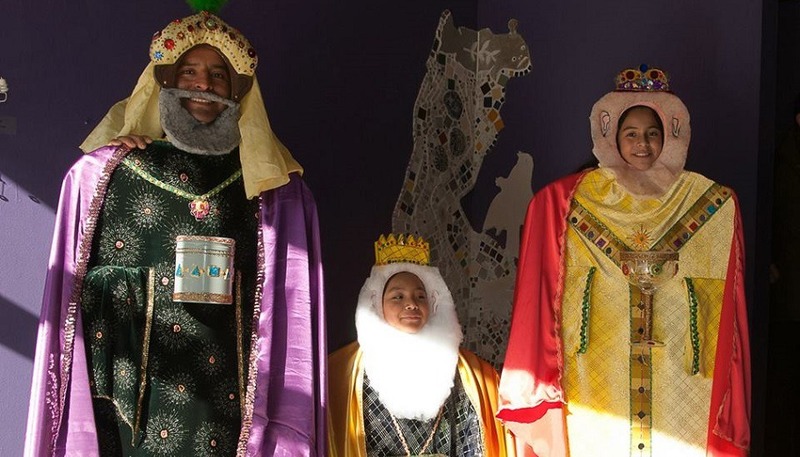 Taller Puertorriqueño’s El Día de Reyes comes to el Barrio on January 5 with live music, gift giving, and a parade. It is mandatory that children pre-register. From January 4-13, Philadelphia once again shows its love for David Bowie night after night after glorious night. More than a dozen activities will be happening across the city to celebrate and remember a man who changed the world. There has always been a connection between Bowie and Philadelphia because Philly embraced him from the very first tour. Ziggy Stardust’s shows at the Tower Theater sold out in record time. Bowie recorded three albums – “David Live,” “Young Americans,” and “Stage” and filmed the video for “Modern Love” in the City of Brotherly Love. 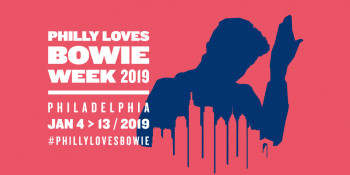 The organizers of “Philadelphia Loves Bowie Week” also use this week as a portal to raise awareness and funds to help benefit cancer research in Bowie’s memory — to benefit the children at the Children’s Hospital of Philadelphia. Visitors to the site will be able to join Naturalist Lisa J. Sanchez to learn how animals survive the harsh conditions of winter. After a brief PowerPoint presentation, participants will explore Lancaster County Central Park trails and look for signs of wildlife and winter food sources. Attendees are urged to dress for the weather — and to wear comfortable walking shoes. The event will run from 10-11:30 a.m. each day. Tickets are $2. will host an event called “The Owls of Pennsylvania” at 2 p.m.
At this informative indoor program, visitors will be able to learn what makes owls unique among raptors. An educator from Elmwood Park Zoo will bring a Great-horned owl. This is a great way to see a wild owl at close range. Suggested donation is $3 per person. 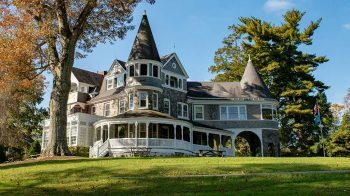 On January 4, Auburn Valley State Park (3000 Creek Road, Yorklyn, Delaware, www.destateparks.com/History/AuburnValley) will host an “Open House Tour” starting at 1 p.m. Visitors to the park will be able to tour the Auburn Heights Mansion. The mansion is the former home of the Marshall family and is furnished with original family furniture. The tour includes the two main floors of the mansion. Please note that there are steps to get into the mansion and one flight of stairs during the tour. The tour lasts approximately 45 minutes. 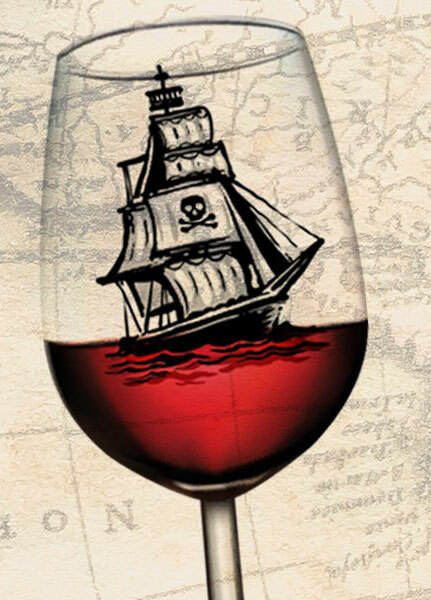 Reservations recommended, but not required. Tickets for the tour are $8 for adults and $4 for children (under 13). The park will also host one of its Estate Walks beginning at 11 a.m. Participants will have the opportunity to learn more about Auburn Heights while enjoying the beautiful grounds. WQearing comfortable shoes is advised for the free event. For those of you who hate to say goodbye to the holiday season, you’re in luck because there is one more holiday weekend on the calendars of sites around the area. Longwood Gardens (Route 1, Kennett Square, 610-388-1000, www.longwoodgardens.org) is presenting “A Longwood Christmas” through January 6. The program features spectacular lights, lavish decorations, holiday music and colorful displays featuring thousands of brilliant poinsettias, brightly-decorated trees and fragrant flowers — all inside the heated Conservatory. The colorful annual event, which appeals to the entire family, also has a lot of outdoor attractions such as fountain shows and nighttime light displays. Longwood’s Christmas celebration also includes a wide array of seasonal music — holiday concerts, organ sing-alongs and carillon performances. The organ sing-alongs will be featured in the Ballroom either three or six times a day. There will also be performances by choirs and musicians almost every evening throughout December. 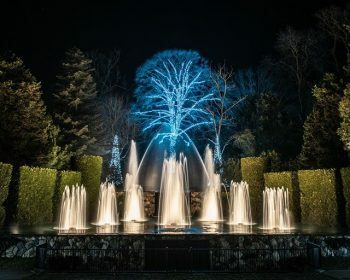 When darkness arrives at Longwood, a night-blooming garden of more than a half-million lights strung on close to 100 trees with approximately 40 miles of wire comes to life. A carillon with 62 cast bells plays holiday music every half hour during daylight hours. 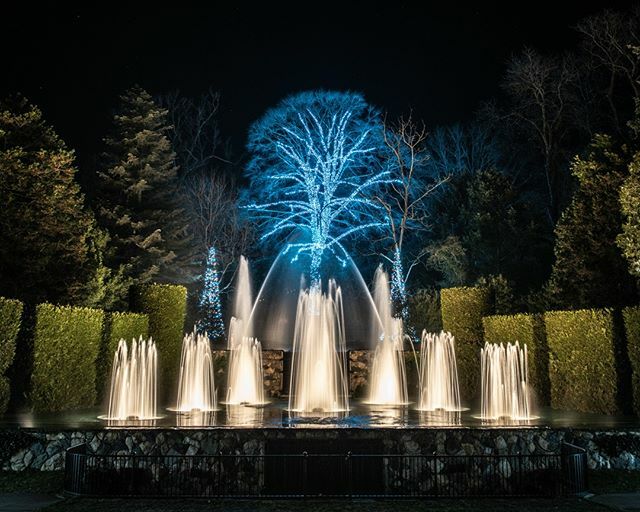 Longwood’s Open Air Theatre fountains dance to holiday music each half hour — temperature permitting. As always, admission by “Timed Ticket” — tickets issued for specific dates and times. Timed ticketing limits the number of people in the Gardens at any given time and allows guests to enjoy minimal lines and a better viewing experience. There are different prices for “Peak” and “Off Peak” times. Visitors to “A Longwood Gardens Christmas” can also check out Longwood’s Garden Railway — a whimsical display set into motion with G-scale model trains. This is the 16th year that the railway has delighted visitors with special water features and custom trains traveling in and out of bridges and tunnels. “A Brandywine Christmas”, which is running now through January 6 at the Brandywine River Museum (Route 1, Chadds Ford 610-388-2700, www.brandywinemuseum.org), is an annual event that is fun for the entire family. The museum’s ever-popular “critter” ornaments will be used to decorate holiday trees, wreaths and diorama settings throughout the museum. The intricately designed ornaments are made from all-natural materials by museum volunteers and have found homes on trees at the White House and the Smithsonian Institution. “A Brandywine Christmas” also features an extensive O-gauge model. Five moving trains operate at all times and include a 60-car freight train winding past a village, stone quarry, oil refinery, mountains, Herr Foods plant, running waterfall and animated skating scene. Special events include “Terrific Trains Family Program” on January 5. Admission is $18 for adults, $15 for seniors (65 and older) and $6 for children. One of the best holiday events in the area is the annual “Yuletide at Winterthur.” This year’s 40th annual staging of the event, which runs now through January 6 at Winterthur Museum, Garden & Library (Route 52, Wilmington, Delaware,800-448-3883, www.winterthur.org). Several of Montgomery County’s scenic historic sites are festively celebrating this year’s holiday season. Pennypacker Mills (3 Haldeman Road, Perkiomenville, 610- 287-9349, www.historicsites.montcopa.org) is hosting “Victorian Holiday Tours” now through January 6 while “Twelfth Night Tours at Pottsgrove Manor” (100 West King Street, Pottstown, 610-326-4014, www.historicsites.montcopa.org) are running now through January 6. Pennypacker Mills is decorated for an old-fashioned Victorian Christmas and will feature the warm glow of oil lamps, festive decorations and a candy-making demonstration. Peddler’s Village (Routes 202 and 263, Lahaska, 215-794-4000, http://peddlersvillage.com) started its holiday celebrations in November and will wrap them up this weekend. November 18 marked the start of Peddler’s Village “Gingerbread House Competition and Display” started on November 16 and is set to conclude on January 5. The “Gingerbread House Competition” features over $2,000 in cash prizes in such categories as Traditional and Authentic Reproduction of a Significant Building. The Gingerbread Competition & Display is a feast for the eyes with more than 50 creative and whimsical entries on exhibit in the Village Gazebo. Admission is free. The Glencairn Museum (1001 Cathedral Road, Bryn Athyn, 267-502-2600, www.glencairnmuseum.org) is a Bucks County museum featuring religious art and area history museum. The museum, which was formerly the home of the fabled Pitcairn family, is presenting its “Christmas at Glencairn” holiday celebration now through January 6. Glencairn was built almost a century ago for the family of Raymond and Mildred Pitcairn, members of a congregation of a Christian denomination known as the New Church. Bryn Athyn was founded in the late 19th century as a New Church religious community. “Christmas at Glencairn” features special exhibitions, a “Christmas in the Castle” tour, a Christmas concert and other holiday activities. The “World Nativities” exhibition is on display in Glencairn’s North Porch, Great Hall, Upper Hall and Bird Room. The 45-minute “Christmas in the Castle” guided tours focus on the way Christmas was celebrated at Glencairn during the Pitcairn couple’s 4o years in the house. Guided tours cost $12 for adults and $10 for students and seniors. The suggested donation for self-guided tours is $5.